The crop sensor mirrorless will still have bigger lenses. To pre-empt all the arguing that will no doubt ensue, it all depends on your needs and priorities. 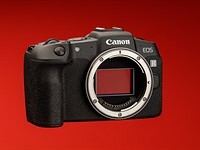 Is crop-sensor mirrorless likely to dislodge the GH series from their video crown? No. Is olympus going to continue to innovate with useful software features (livetime, pro capture, live composite etc.)? probably. Is mirrorless APS going to offer better image quality? Probably.